For twenty-four years, TMG The Mortgage Group has been quietly earning the respect of lender partners, the brokers who are part of the TMG family, and colleagues in the industry. As part of a very influential Western core group of broker advocates in the early 1990s, founders Grant and Debbie Thomas were instrumental in ensuring that Western brokers were properly recognized. Through their efforts, mortgage lenders such as Scotiabank to their business market. Over the years, TMG has developed some of the best lender relationships in the industry, which stems from a corporate philosophy that lenders ought to be treated like customers. 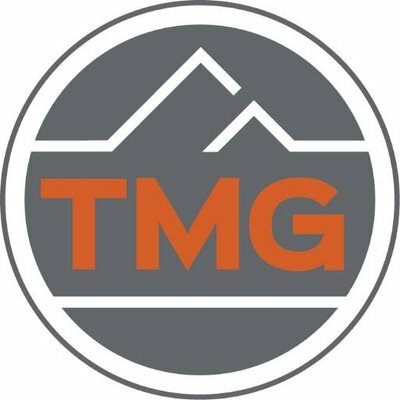 Today, July 24, marks the 24th anniversary for TMG. With a network of nearly 800 mortgage brokers and agents nationwide, TMG has assisted hundreds of thousands of Canadians find the mortgage to best suit their financial needs. TMG operates on the premise that a mortgage broker provides the best value for consumers and has the knowledge and expertise to assist anyone seeking mortgage financing advice. It was the time of Brian Mulroney and George Bush (Sr). One US dollar cost $1.17 Canadian. Caller ID systems were introduced and the Internet revolution began. Nelson Mandela was released from prison after 27 years and Iraq invaded Kuwait. In its early years, the company operated as Kirk capital Corp. and opened its first franchise in British Columbia under London, Ontario-based “The Equity Centre,” led by industry pioneers Grant and Debbie Thomas. In 1997, Kirk Capital Corp. parted ways with that franchise network and changed its name to The Mortgage Group, becoming an independent privately-owned mortgage brokerage firm. Although the industry has made inroads into gaining market share, it’s still not enough. “We just have to keep sending our message out to consumers and make sure our brokers are well-trained.” Debbie’s goal has always been to instill confidence in consumers when dealing with brokers. TMG has also attracted mortgage leaders from across the industry and across the country. Its regional sales leaders and vice-presidents are experienced and well-respected individuals who work directly with brokers in their regions to help them exceed their mortgage business goals. The company’s contribution has not gone unrecognized in the industry. 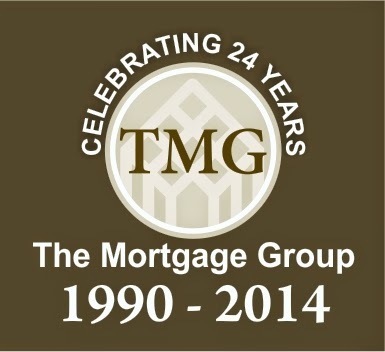 In 2011, TMG was honoured with the Canadian Mortgage Award’s top award for Network Broker of the Year. In 2012, the company was named one of the Best Companies to Work for in BC. In that same year TMG was awarded with CAAMP’s Partners Excellence Award and Grant and Debbie received MBABC ‘s Pioneer Award for Lifetime Achievement. In 2013, the company won Employer of Choice at the Canadian Mortgage Awards and last year Grant and Debbie were inducted into CAAMP’s Canadian Mortgage Hall of Fame. Yet, TMG is not a big, faceless company. Throughout the company’s growth, the brokerage has never lost its family-centred values. Indeed, it has maintained and reinforced its corporate family culture. In the 14 years that Corrie Chenier has worked for TMG, she has watched the company grow from 40 brokers and a few staff to nearly 800 brokers staff. In all that time, she said TMG never lost its family values –it’s a place that Corrie calls home. Branka Hayes, who works in payroll, has been with TMG for 10 years. She has glowing praise for the company that has made her feel a part of a larger family. The atmosphere has helped her in so many ways -- as the company grew, Branka experienced her own personal growth. While within TMG, Grant and Debbie are seen as mentors, experts and leaders. Within the mortgage industry, they are seen as entrepreneurs, advocates and pioneers. But always, at its core, TMG is one big family.